Ticketing Points are simply the new name for Loyalty Points, all other aspects remain the same. Ticketing Points are earned by renewing Membership, paying by Direct Debit, and purchasing match tickets. They are used by the Club when allocating tickets when fixtures are oversubscribed, such as latter stages of cup competitions and away matches. Find out more about Ticketing Points. All the benefits of membership can be found here - you can choose between becoming a One Hotspur Member or One Hotspur + Member. I have a disability, is there a separate membership programme? There is no separate scheme. For all disability access related enquiries. please contact the Access Team on 0208 3655161 or email access@tottenhamhotspur.com. Can I upgrade or downgrade my Membership after I have purchased it? Yes, please contact a member of our team on: 0344 844 0102 (UK) or from overseas on +44 20 7998 1068, selecting option 2. Lines are open from Monday - Friday, 09:30 - 17:00. Please allow up to 4 – 6 weeks from purchasing your membership for your Gift Pack to arrive. Once your pack is in the post we'll send you an email to let you know your Gift Pack is on its way. Once you have received your email, please use the link included to track the location of your pack. Please ensure the address details we hold for you are up to date. You can check and update your details by logging into My Account on eticketing. When will I receive my Stadium Access Card? Cards will be included in the Member Gift Pack. You can check and update your address details by logging into My Account on eticketing. I’m a One Hotspur + Member. Will I be offered a Season Ticket? Any Season Tickets that may become available will be offered to One Hotspur + Members based on their Season Ticket Waiting List position. At what age will I qualify for senior concessionary pricing? Anyone aged 65 or over on 16 August 2018 can pay senior concessionary pricing; £20 for One Hotspur or £25 for One Hotspur +. At what age will I qualify for junior concessionary pricing? Anyone under 18 on 16 August 2018 will can pay junior concessionary pricing; £20 for One Hotspur or £25 for One Hotspur +. How much does an upgrade to One Hotspur + cost? For just £5, you can upgrade from One Hotspur to One Hotspur + and enjoy an advanced Member Ticketing Priority Window and a position on the Season Ticket Waiting List. What’s in this Season’s Member Gift Pack? There are 4 different Gift Packs depending on age. See the Gift Packs here. 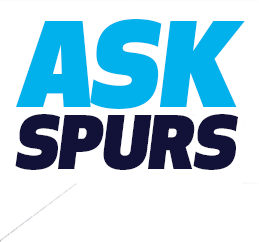 What discount will Members get in Spurs shop this season? Members will get 10% off everything online and in-store at Spurs Shops on selected matchdays. We will notify you by email on details of which matchdays the Member discounts will be available. To receive these emails, please ensure we have an up-to-date email address and that you have opted in to receive emails from us. Do I need Membership to buy a match ticket? No, but having Membership provides a greater chance to access match tickets for our new stadium. How many tickets can I purchase with my membership? Members can purchase one ticket per Membership during a Member Ticket Priority Window. If tickets reach Guest Sale you can purchase one additional ticket, subject to availability. During Members Sale, can you add multiple tickets to your basket to enable you to purchase alongside other Members? Once these tickets are added to the basket, you will be asked to ‘reassign’ the rest of the tickets to other Members via their Client Reference Number if they are within your 'My Network'. What is Ticket Exchange and how do I access it? Ticket Exchange is the Club’s secondary ticketing platform where Season Ticket Holders, unable to attend a match, can sell their ticket at face value, subject to a booking fee. Only Members can purchase tickets on Ticket Exchange. Is the new Young Adult concessionary pricing for 18-21 year olds purchasing Season Tickets replicated within Membership? 18-21 year olds will pay adult pricing. Concessionary Membership pricing is only available to under 18 or those aged 65 and over. I am 16/17 years old, what will I pay and what Gift Pack will I receive? You will pay the £20 junior price for next season, or £25 for One Hotspur +, and you will receive the pack for adult Members.